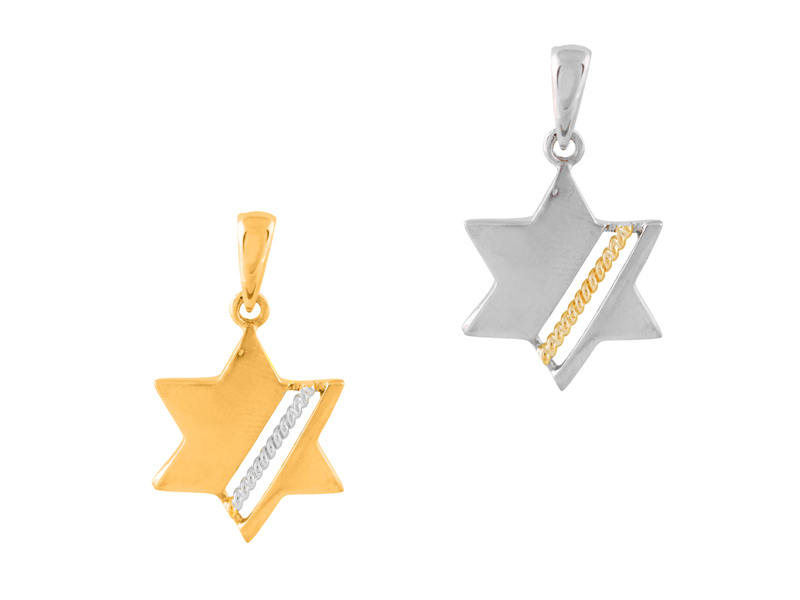 A beautiful contemporary Star of David pendant. 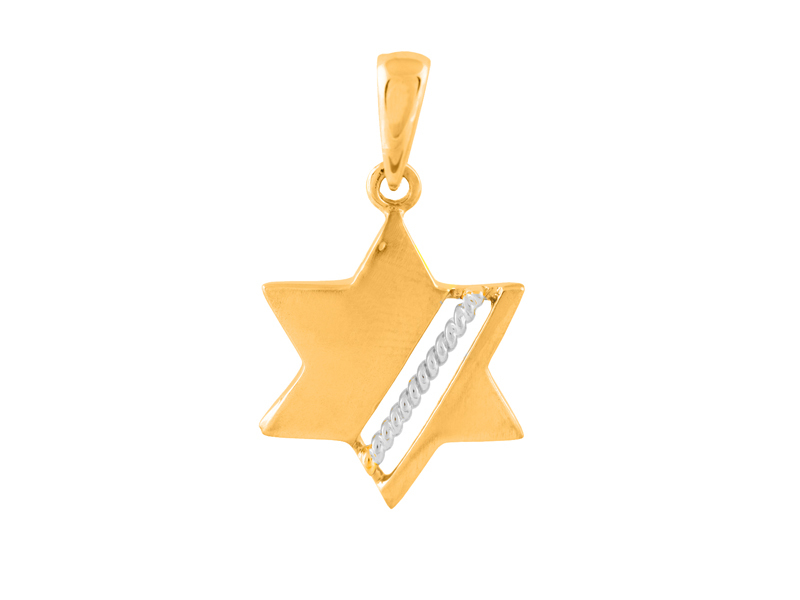 Made of 14K gold, this pendant features a solid star of David with a diagonal spiral insert crafted from the opposite color of gold. Pendant is available in both yellow and white gold. This Star of David pendant makes a wonderful gift for a bat/bar mitzvah, birthday, or any other special occasion. Necklace chains are sold separately. To view our extensive collection of necklace chains, click here.